The Arctic grayling is native to the coldest waters of Asia and North America whos natural range only extends as far south as Montana but have been introduced to high mountain lakes and much further south. A key identification feature is the dorsal fin which is oversized, dark gray with pale spots, with cross-rows of deep blue spots and edged with red or orange. The tail is forked and the body has scattered black spots on silver-gray sides. The scales on the grayling are much larger than the scales on trout. Weight, up to about 1 pound. 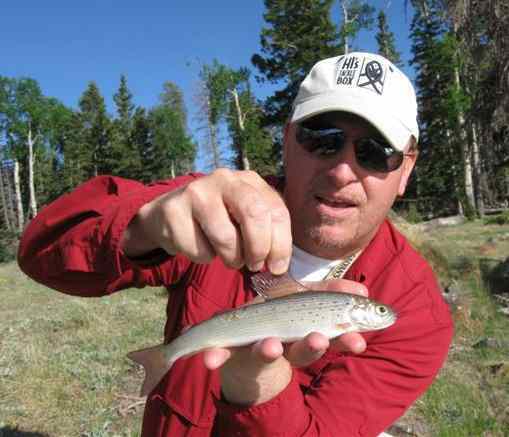 Grayling are caught on both wet and dry flies.